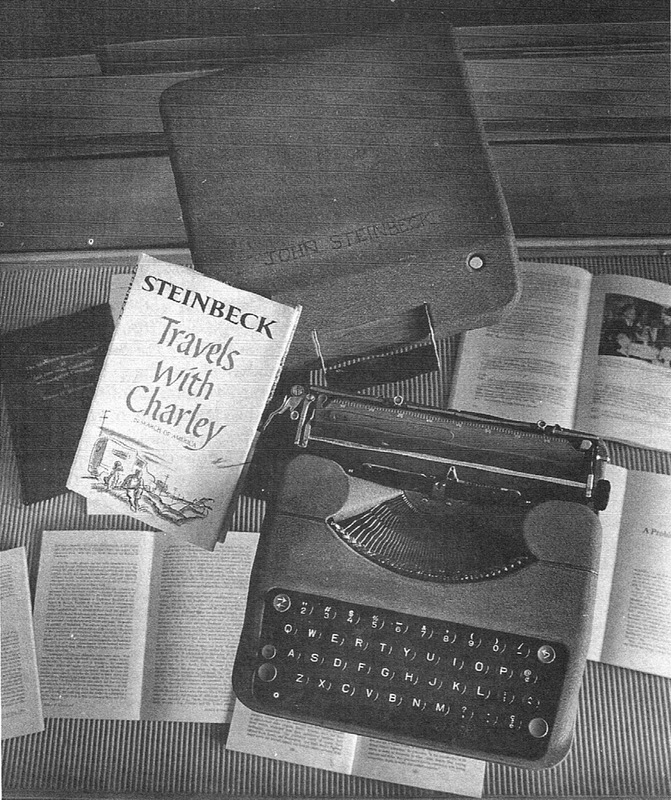 John Steinbeck's Hermes Baby portable typewriter, gifted to the Steinbeck Research Centre, San Jose University, California, by Steinbeck's eldest son, Thom Steinbeck. 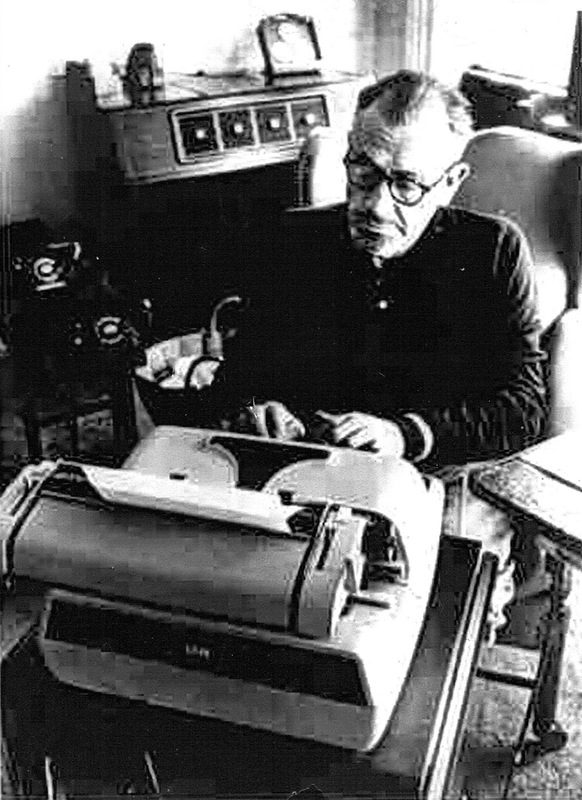 From Steinbeck's Typewriter: Essays on his Art, by Robert DeMott (1997). 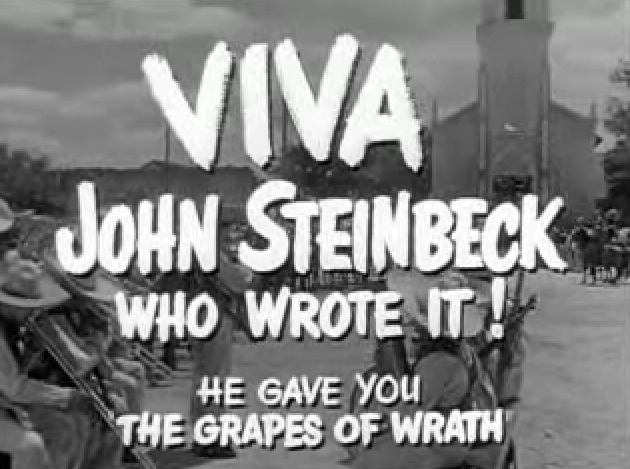 For his otherwise historically accurate script for the 1952 movie Viva Zapata!, John Steinbeck created a fictional Judas-type character called Fernando Aguirre. 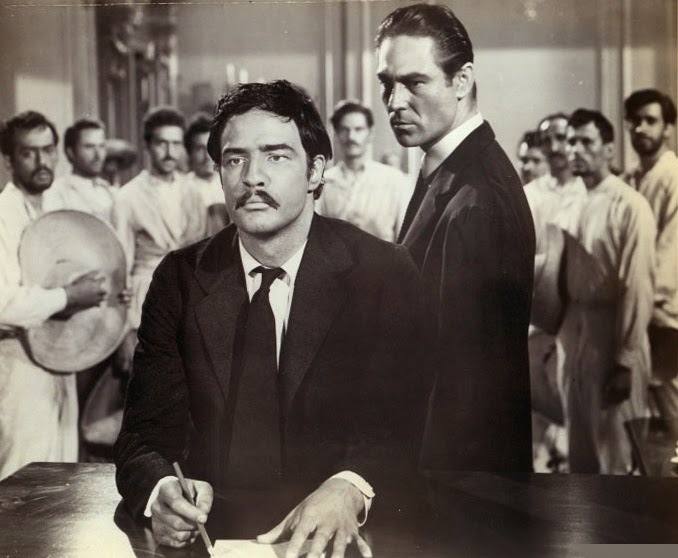 The character was played by Canadian actor Joseph Wiseman (later Dr No). 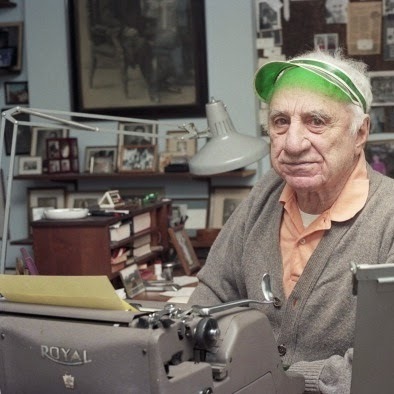 There have been many interpretations of what this character represents in the McCarthy Era, but one thing we do know about him - he believed the typewriter was "the sword of the mind". 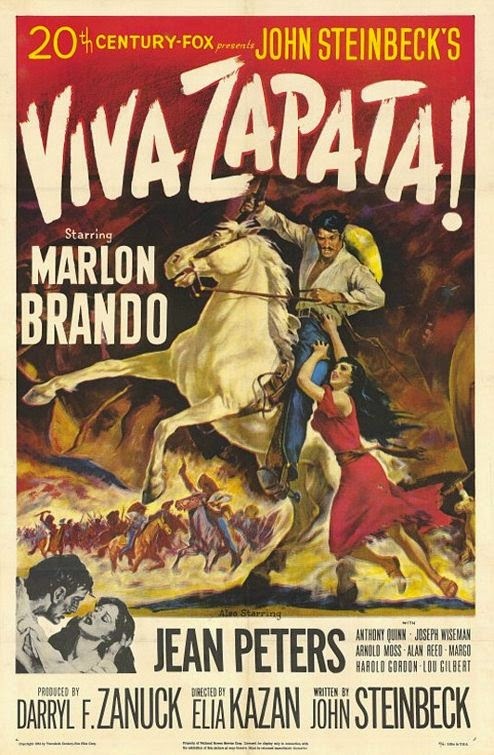 After Emiliano Zapata Salazar (Marlon Brando), his brother Eufemio (Anthony Quinn) and an associate, Pablo (Lou Gilbert), have taken refuge at the top of a mountain, they issue warning shots at a man who, as he comes closer, is shouting Zapata’s name. 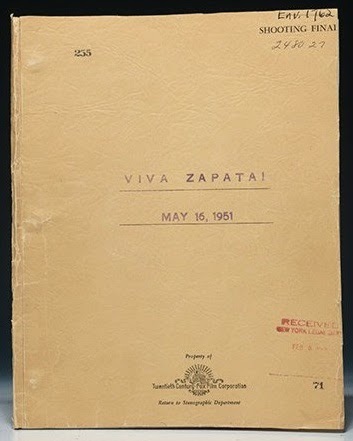 The man claims to be sent from Zapata’s friends, “people of the village”. 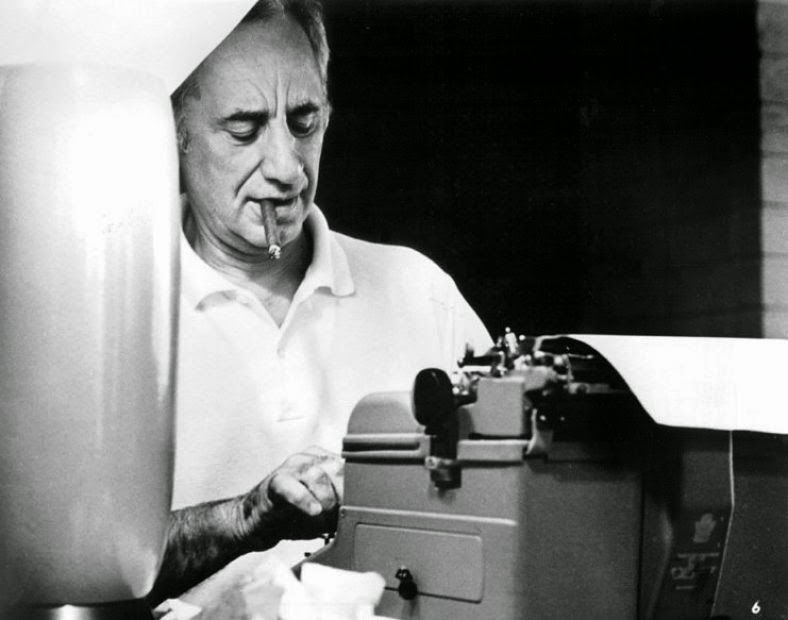 Eufemio searches the man, Aguirre, who carries the typewriter. 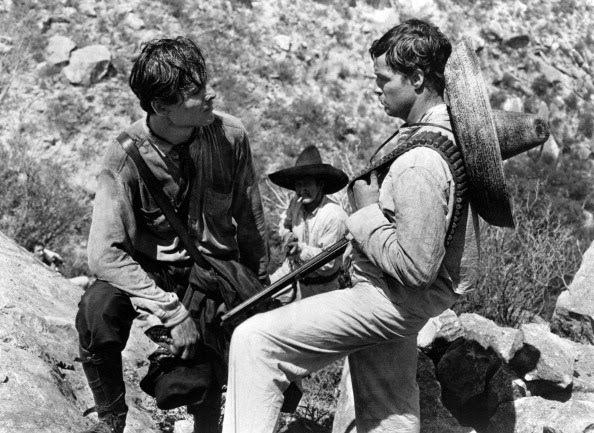 Above: Marlon Brando as Zapata and Joseph Wiseman as Aguirre. Below: Brando, right, as Wiseman arrives with his typewriter. 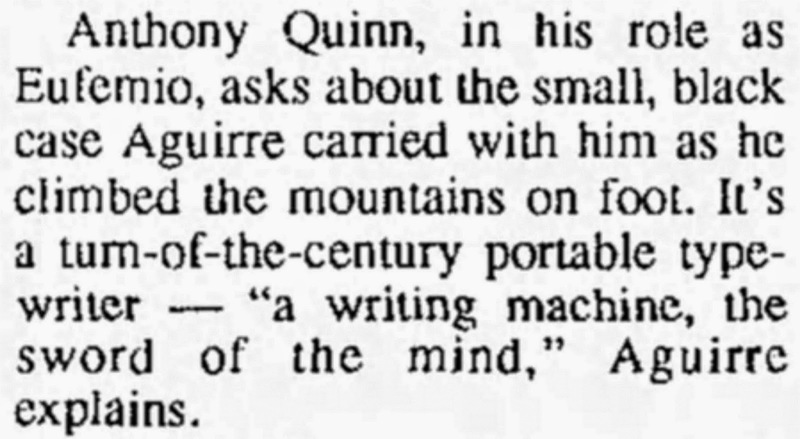 Steinbeck possibly didn't realise it, but as the movie is set in 1909-10, the only typewriter in a small case Aguirre could have carried up the mountains was a Standard Folding. 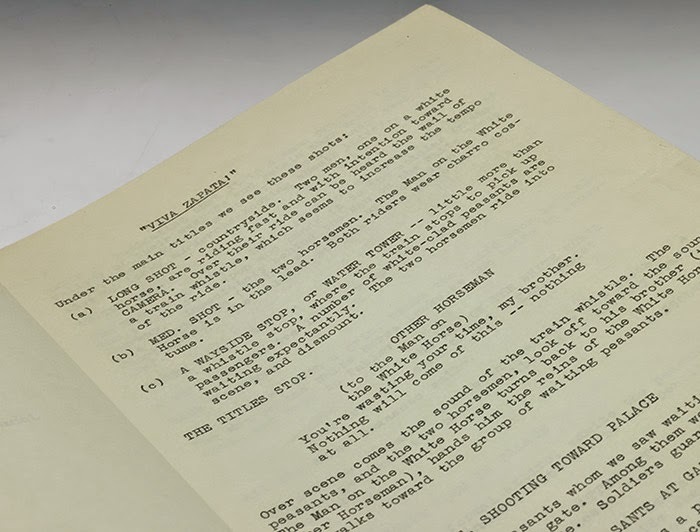 Steinbeck's typewritten script. 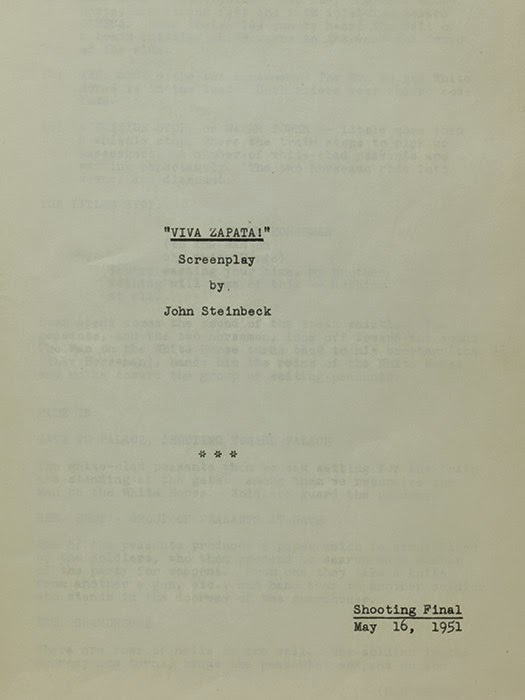 Steinbeck, below, using an IBM Executive in Hollywood.